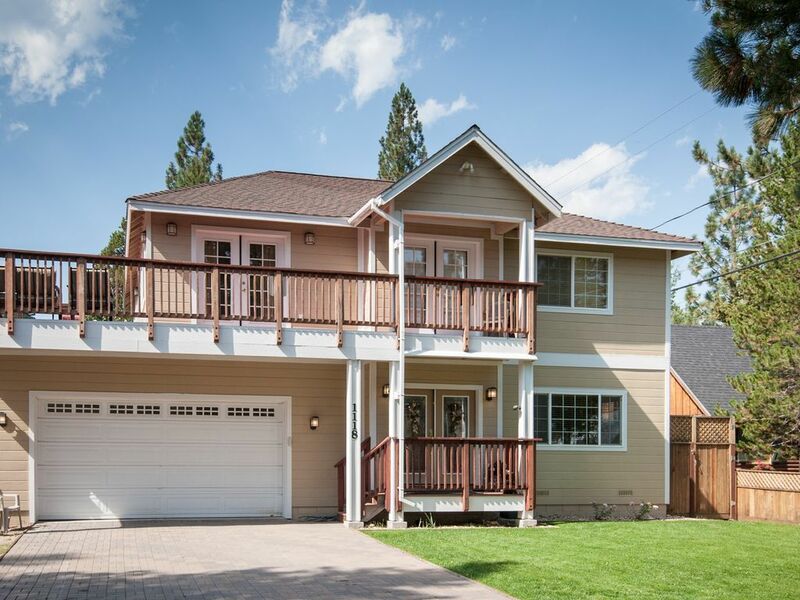 This spacious 2400 SQ FT home is perfect for a Tahoe Luxury Retreat or family vacation. 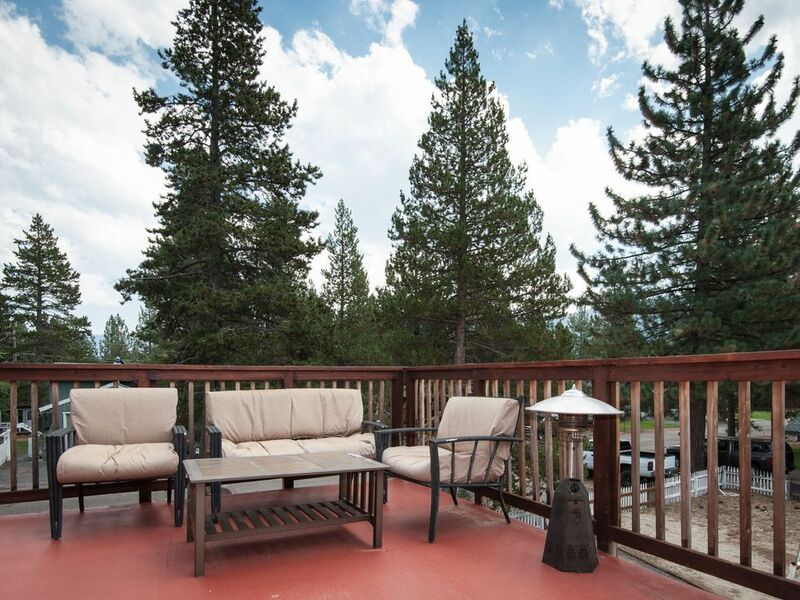 Relax on the large second story Deck enjoying incredible panoramic views of Echo Summit and surrounding mountains. Go Hiking, Biking, Golfing, Fishing, Climbing and Skiing all nearby. 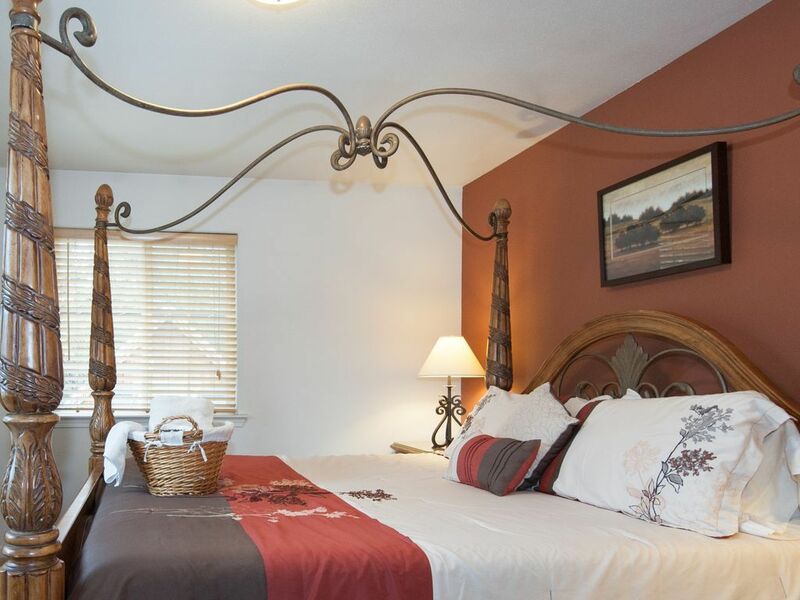 Beautiful top quality furnishings and stylish decor with custom features throughout. Hot Tub and putting green in back yard. 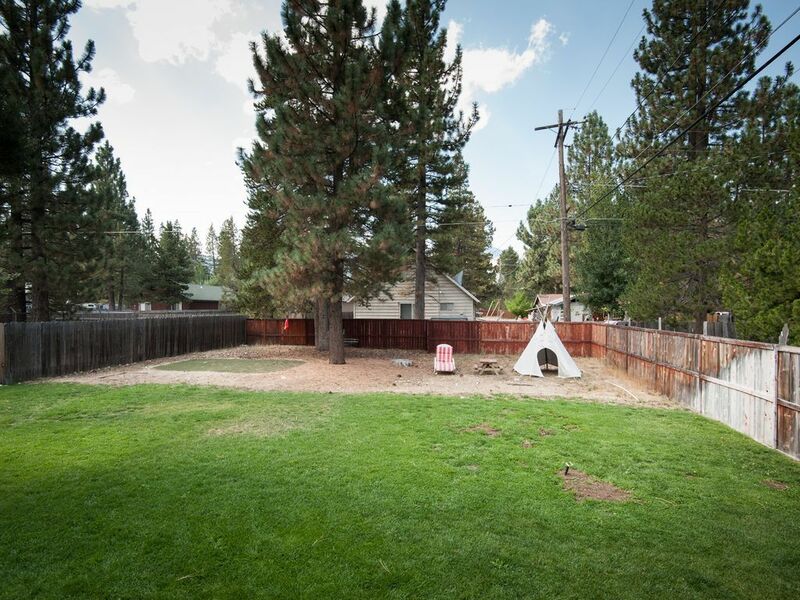 Central location near ALL ski areas, neighborhood backs up to golf course, Truckee river and Tahoe paradise park with Children's play structure, wedding facilities and 9 acre lake for fishing and exploring. 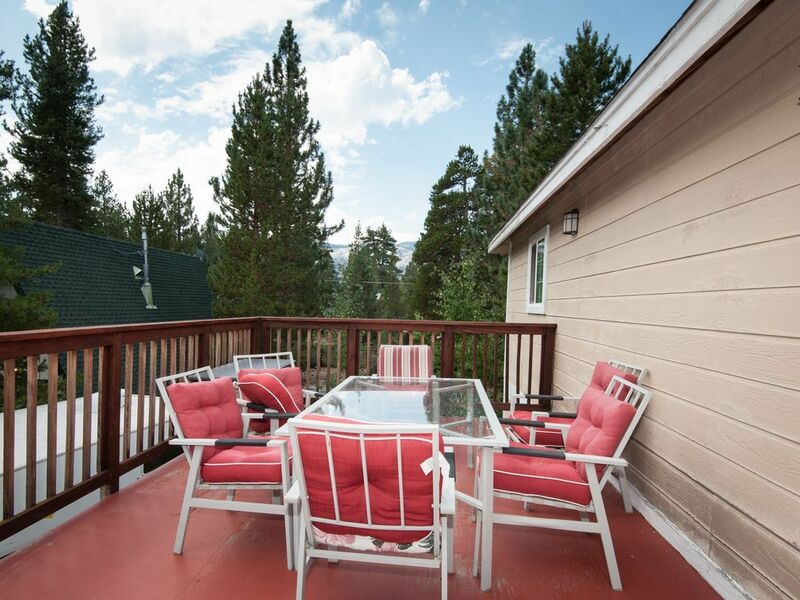 Kick back and relax with a cup of coffee on the second story deck amid panoramic views of the Sierra mountains taking in the quiet and fresh air, or enjoy a luxury bath in the Jacuzzi with a plush pillow and complimentary soaps and gels. 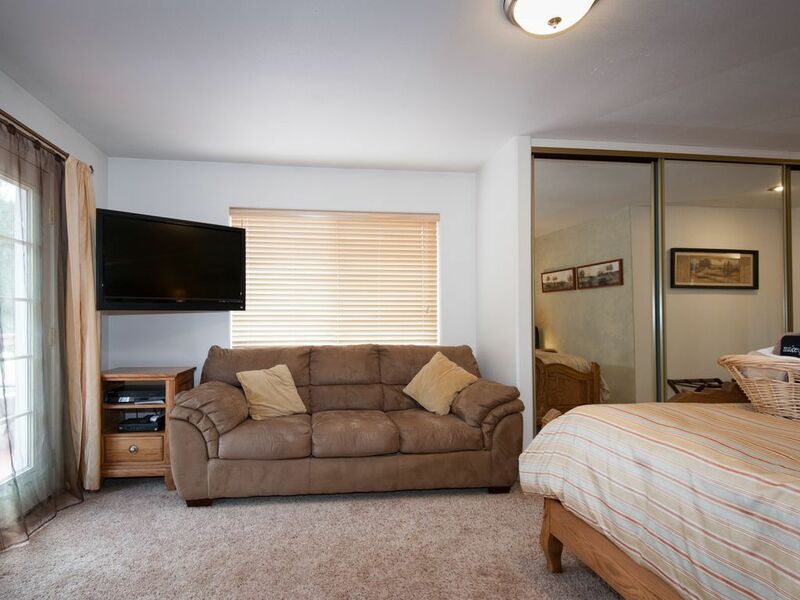 Mom and dad can get away from everyone and relax while watching the large screen TV on the sofa in the master bedroom. 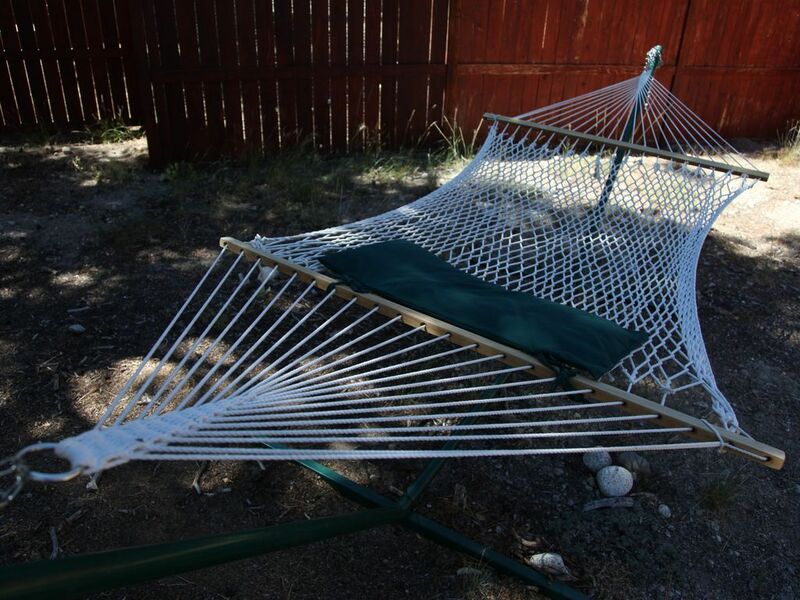 Read a book or take a nap in the back yard hammock watching the friendly birds and peaceful mountain view. 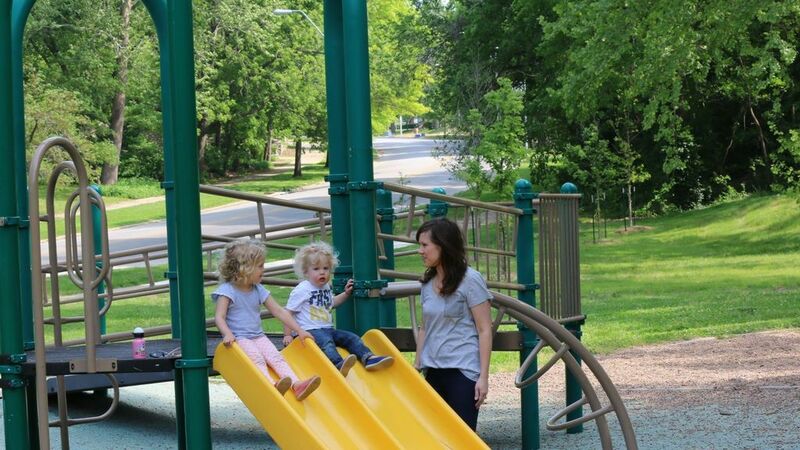 Then grab the family and take off for a sporadic bike ride through the neighborhood, just a block away you'll find a park with a 9 Acre lake, BBQ area, Little Tikes playground, and a view of Echo Summit with the lake in the foreground that is just breathtaking, a great spot for family photos. 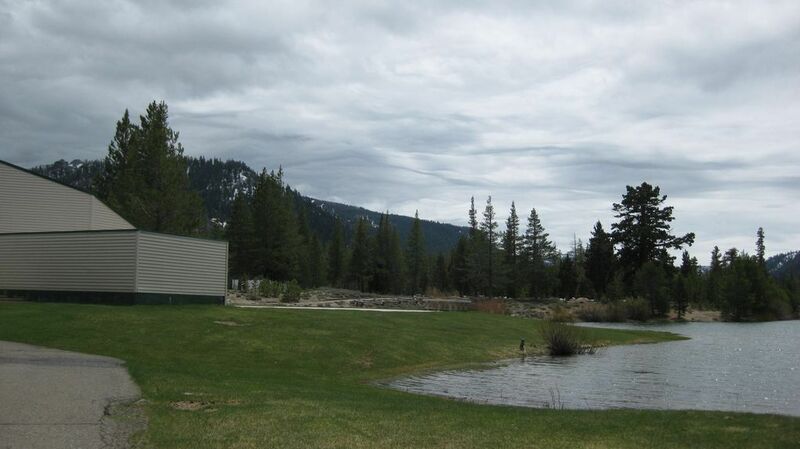 There is a building and patio area that is a great spot for weddings, contact Tahoe paradise park for reservations. Bring a tennis racket for a quick morning game, boasting two fenced in courts. 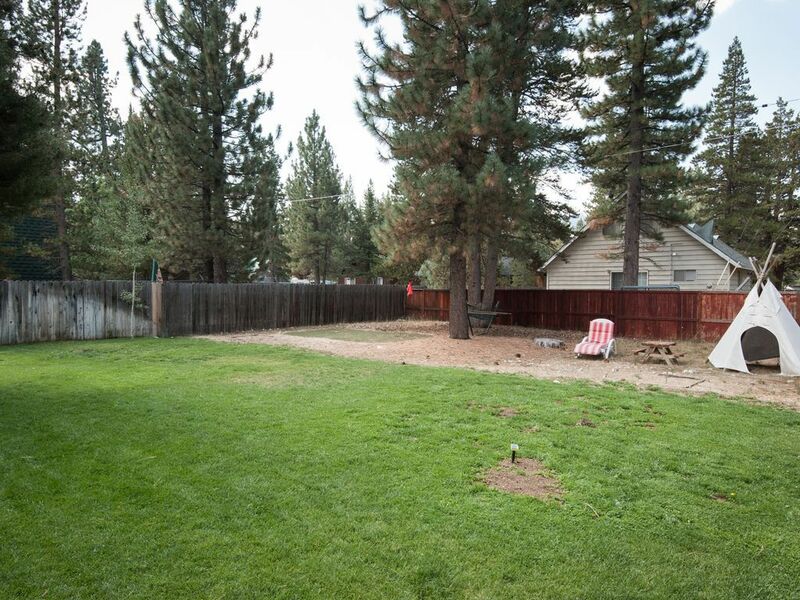 For the man who likes to fish this is a great spot just one block to the Truckee river, so close to the house, just bring your fishing gear and walk to the river or fish in the Lake. I've had people tell me they didn't leave the neighborhood as they such a great time. 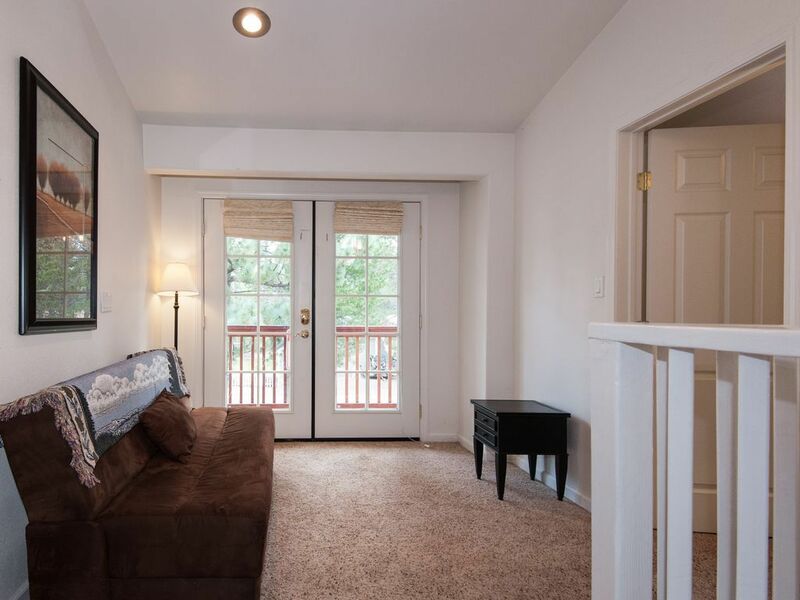 We are also uniquely situated between all three major ski resorts in south lake Tahoe just 15 minutes to Heavenly, 20 minutes to Sierra, 25 minutes to Kirkwood. If you don't feel like driving grab a sled from the garage and go across the street with the kids as the golf course which turns into a sledding and snowmobile area in winter. Rent ATV's and take a guided tour of the Rubicon!, Snowmobiles, etc. just across the street at Lake Tahoe Adventures. 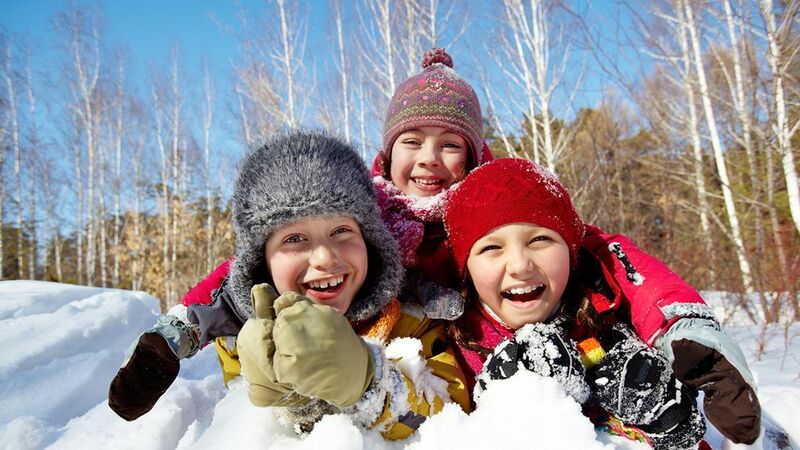 Or Stay home and the kids usually just play in the yards as we have a huge fully fenced in back yard they make jumps, snow men, snow ball fights no need to go anywhere! 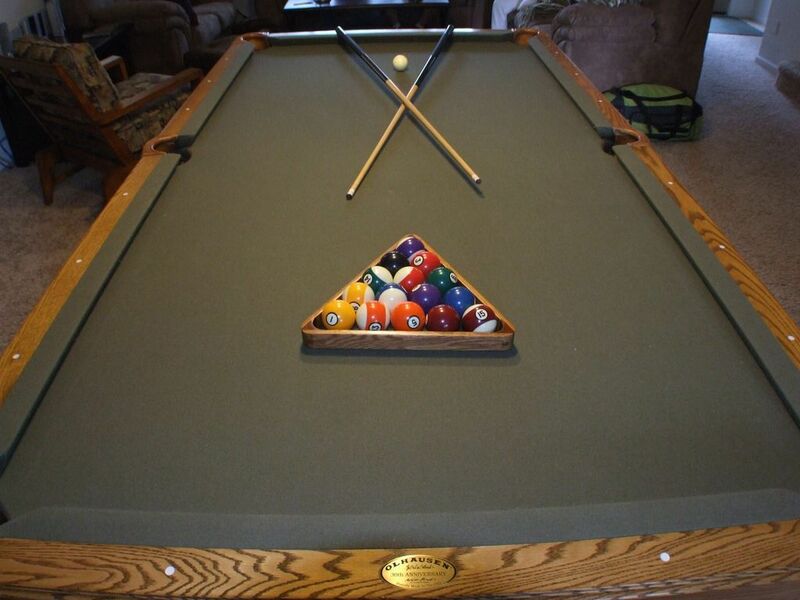 For the Guys we have ordered all the extra sports channels and there is a large screen TV on the wall or play a game of Pool on the 30th anniversary Olhausen pool table, work on your putting skills on the back yard putting green! 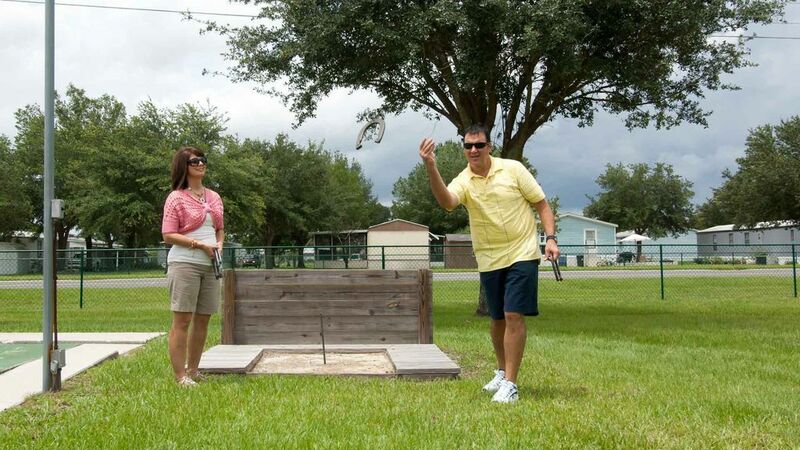 Or challenge your friends to Horse Shoes on a real regulation sized pit and a kids set as well. 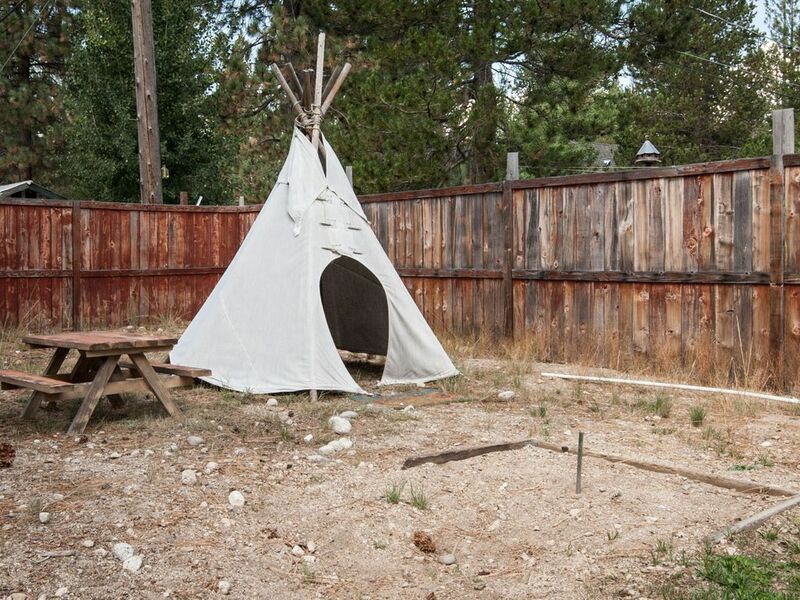 Also tell the kids we have an authentic Cheyenne TIPI in the back yard! 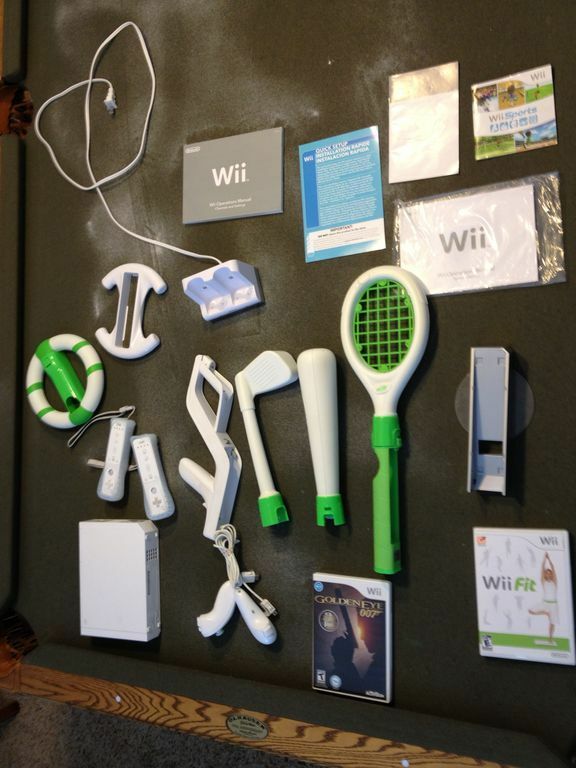 and Nintendo Wii with sports, driving, and the Wii fit and also PlayStation 1 and 2, Xbox and game cube! with many games and driving equipment. 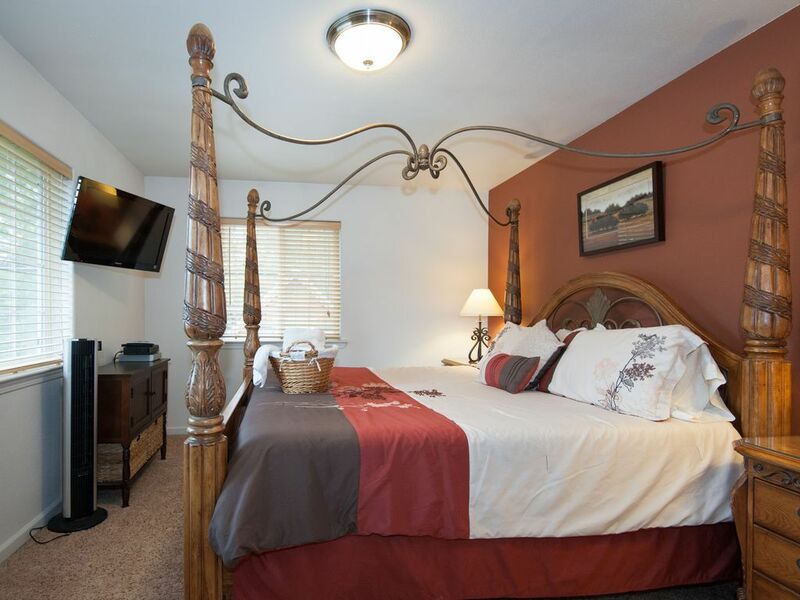 We just purchased a new King size Tempurpedic bed in place of one of our queen beds so now we can boast 2 king size beds (Master and guest room at top of stairs next to bathroom) and one queen size Tempurpedic bed and two twins AHHHHH comfy. 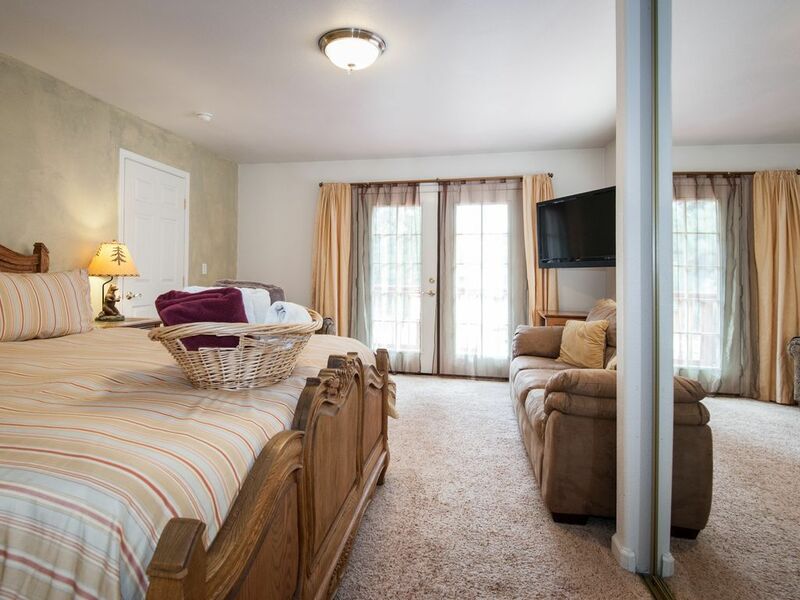 We also have a sofa sleeper and two Tempurpedic rollaway beds for the kids and a fouton.. 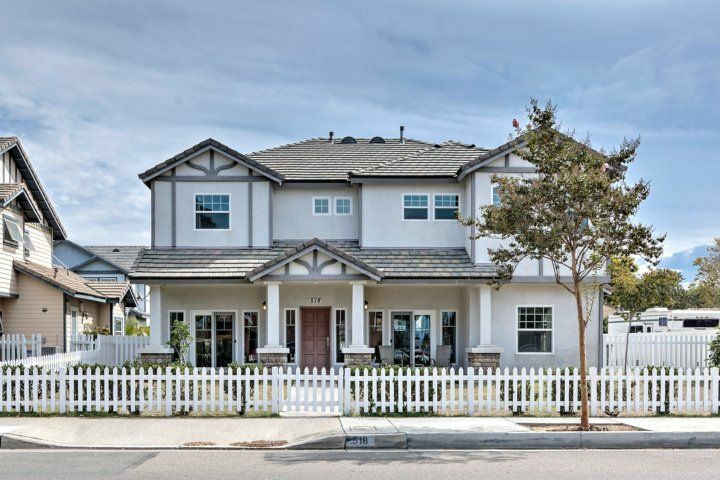 Looking for a neighborhood with no hills? 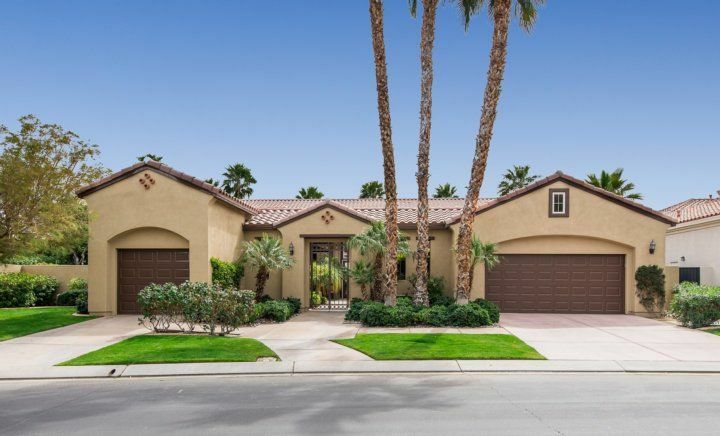 Meyers is a level neighborhood, with lots of sun and mountain views. You can walk or grab one of the 11 or so bikes and ride to the community loved, Tahoe Paradise Park, with a man made lake where you can Stand Up Paddle Board, play in the wading pool, gather at the club house, tennis courts, the river and a playground for the children. 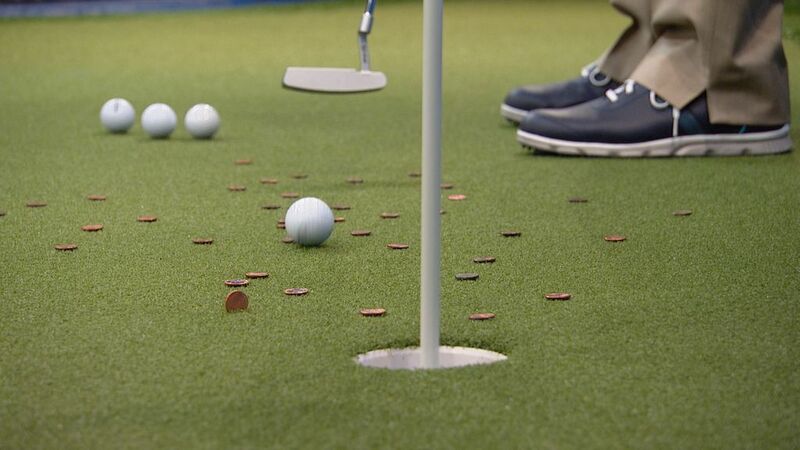 Do you play golf? Walk to one of two beautiful Lake Tahoe 18 Hole Golf Course. 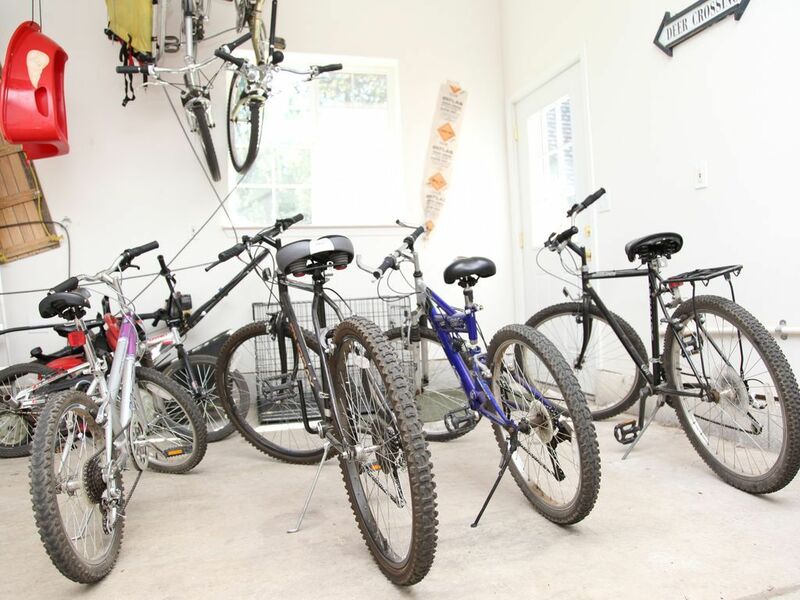 Hiking and biking trails, minutes, outside your door. Sierra At Tahoe and Heavenly Ski Resort about a 20 min. drive. Lake Tahoe about a 15 minute drive to the beaches. 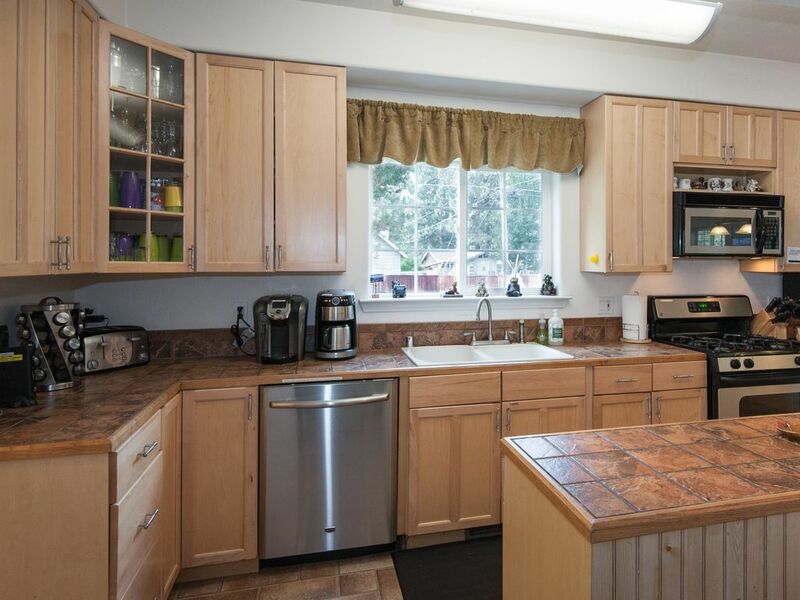 Cafe's and the Market are a walk or short car ride away This home is looking for a family to love. 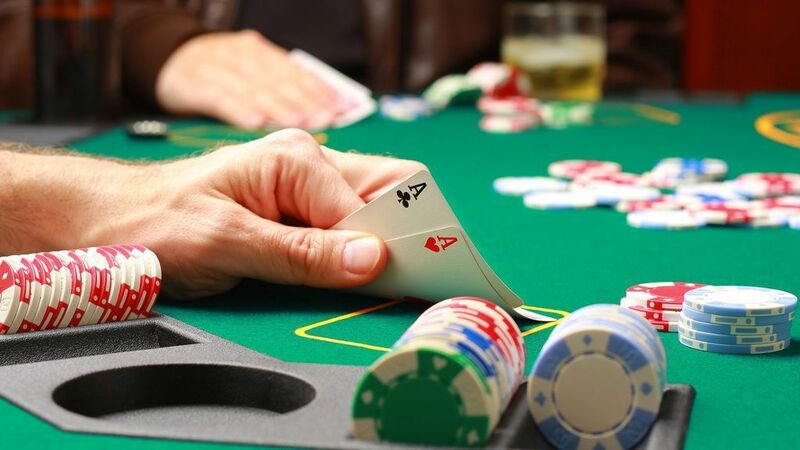 Night life and Stateline is a short 10 minute drive, take a short cut by using pioneer trail or saw mill pond road. Located in the Meyers area of South Lake Tahoe, California (Historic site of the pony express). 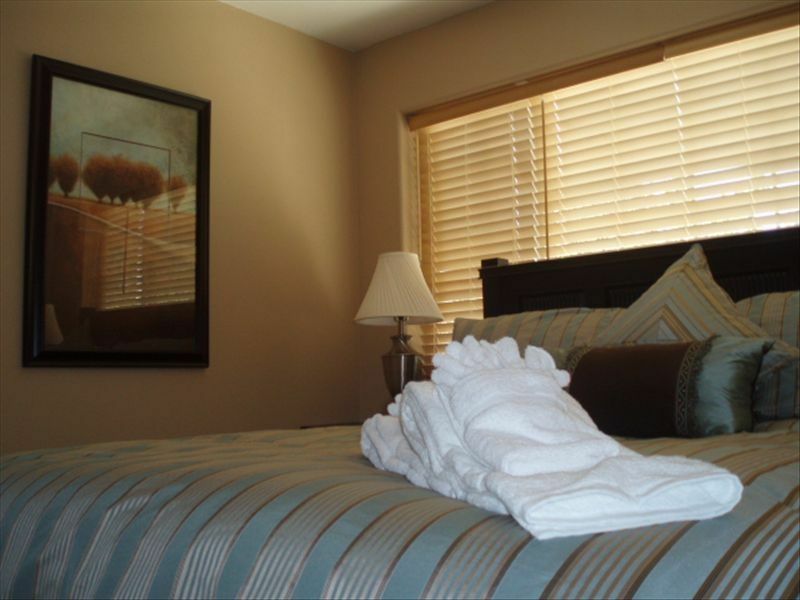 Close to everything you're looking to do in South Lake Tahoe. Parking for 6, weather permitting. 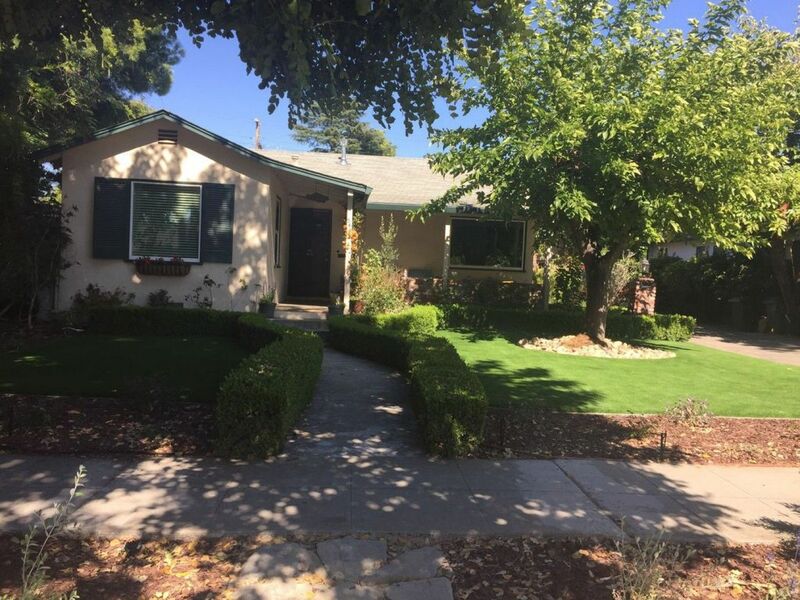 We couldn't have asked for more when renting this beautiful home. 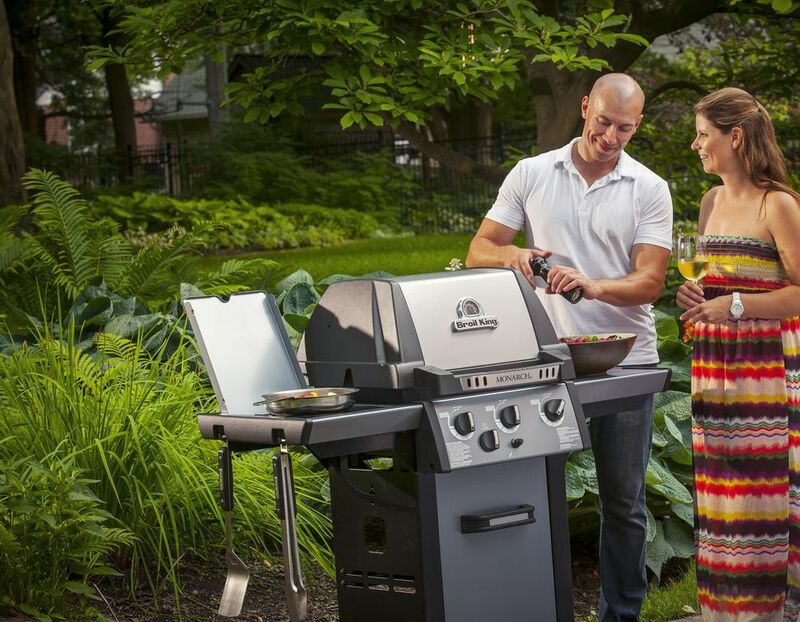 The owners go above and beyond for their renters. 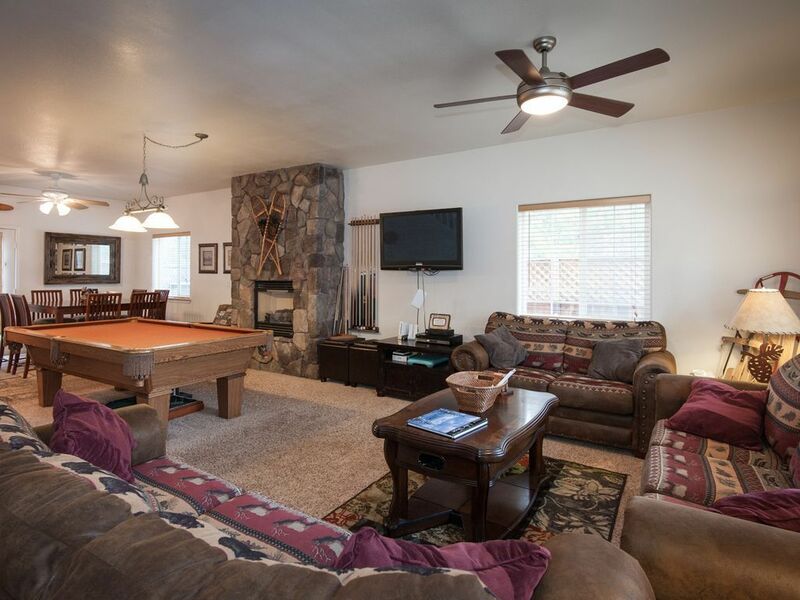 They have everything imaginable and more.Well stocked from kitchen goods to games for the whole family, hot tub, whirl pool tub in master bedroom which was so nice.Very comfy beds, nice furnishings,TV in every room. 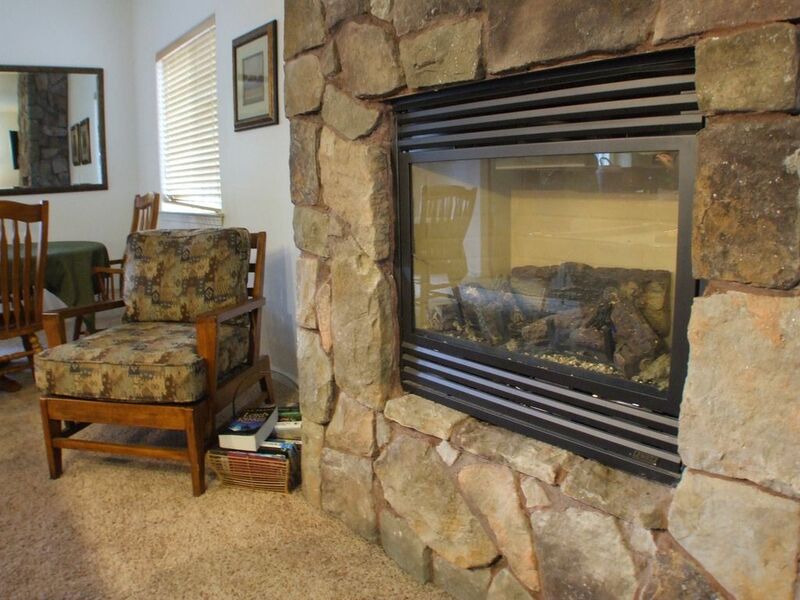 The furniture is comfortable and cozy and the gas fireplace was a treat.We will be back, thank you for making our stay so special and memorable the Toths. 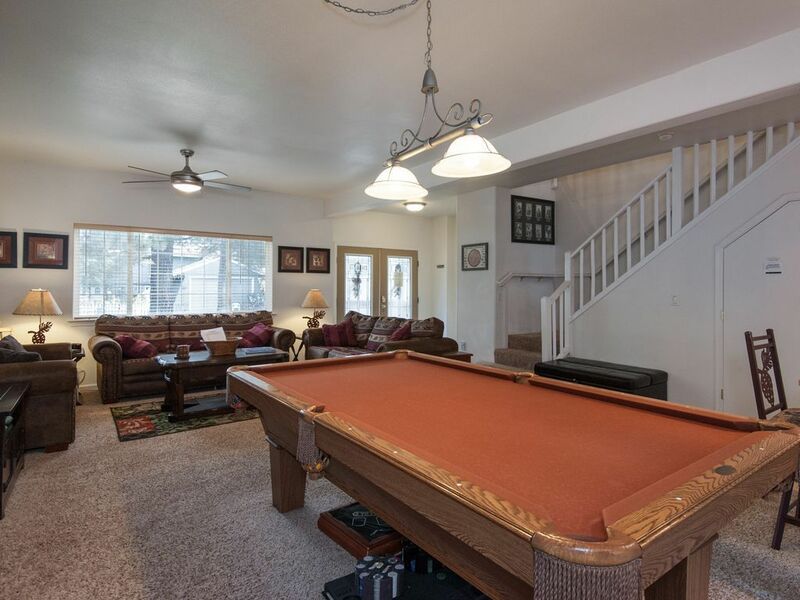 This is a wonderful house with plenty of room for up to 8 adults. 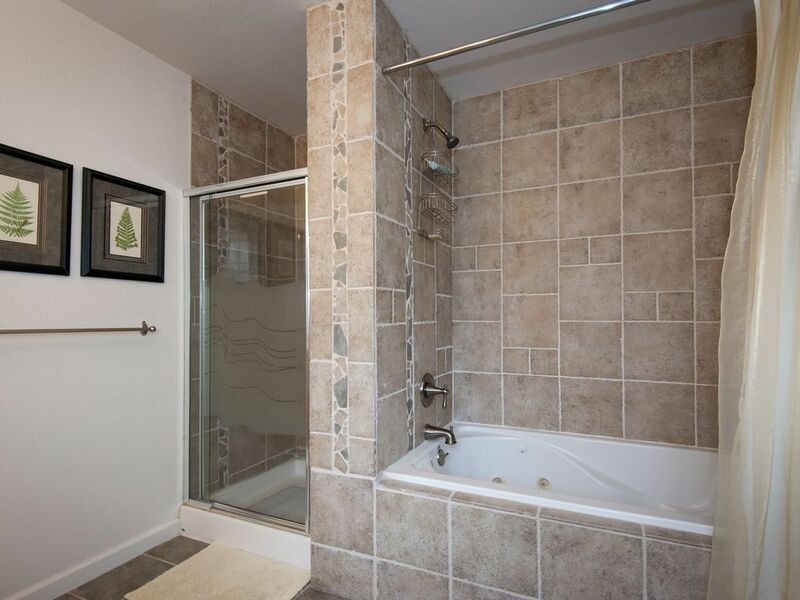 It has a fancy master bedroom with its own large bathroom en suite, and the three remaining bedrooms share a single bathroom located in the hall, aside from a half bath located downstairs adjacent to the kitchen. That may be a drawback for some groups. 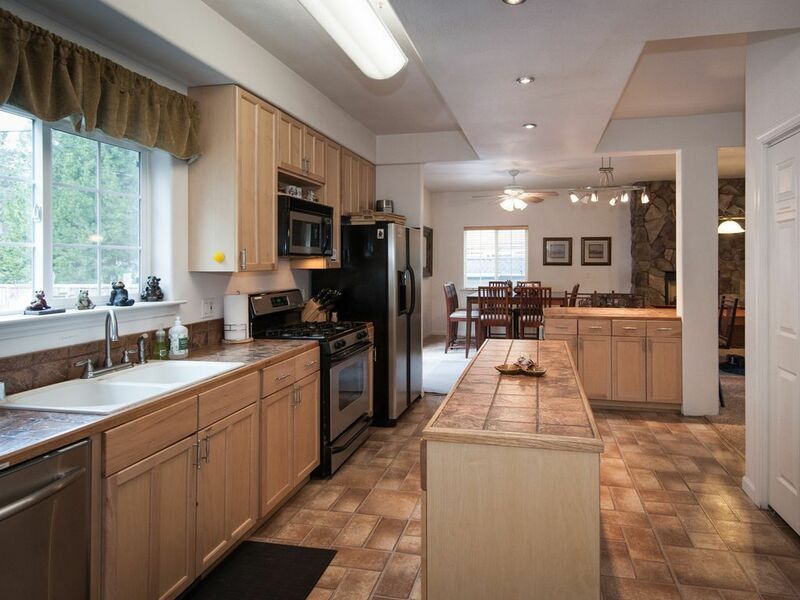 The kitchen, dining, and living room areas are all roomy and comfy enough for a decent sized group to hang out in. 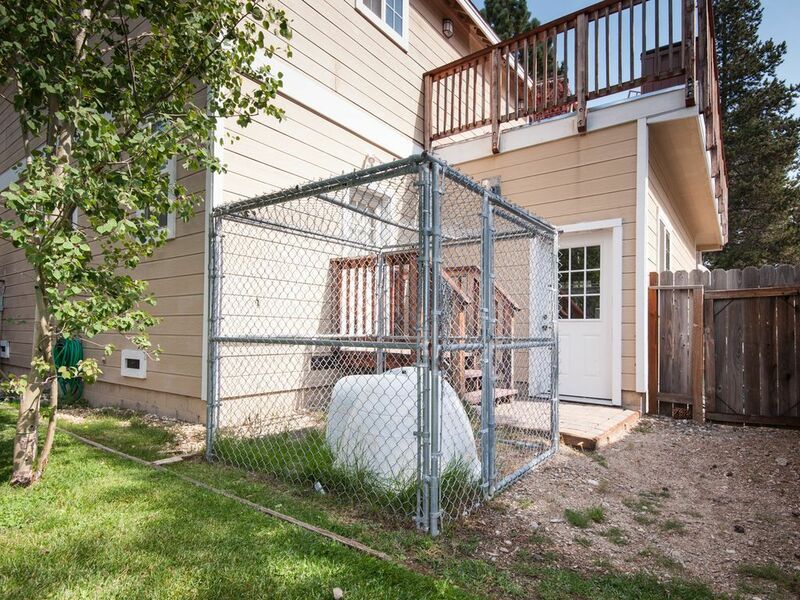 The backyard is nicely fenced, HUGE! 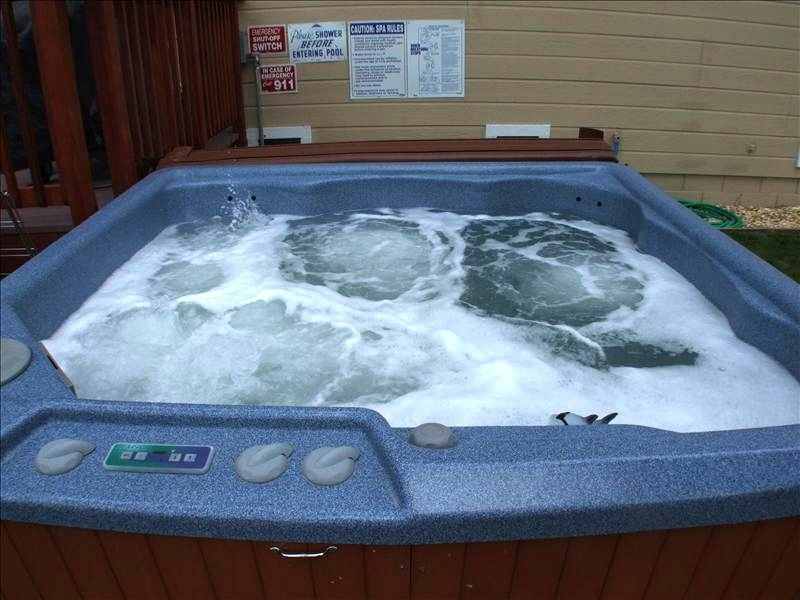 and contains a hot tub. My friend noted that there are a million notes of instructions/warnings/rules posted everywhere within the house. Some are helpful, some are not. 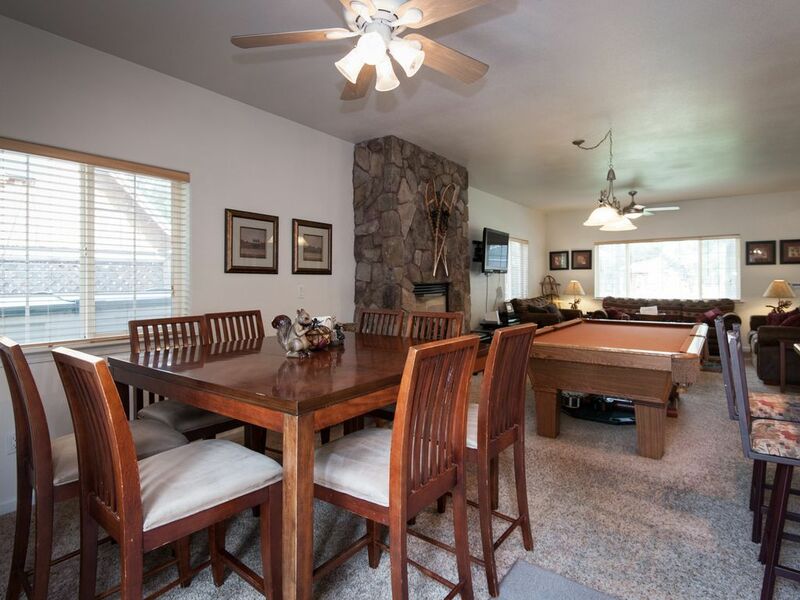 My family and I visited Tahoe in the summer and was very comfortable in this beautiful home. Definitely felt like a home away from home. 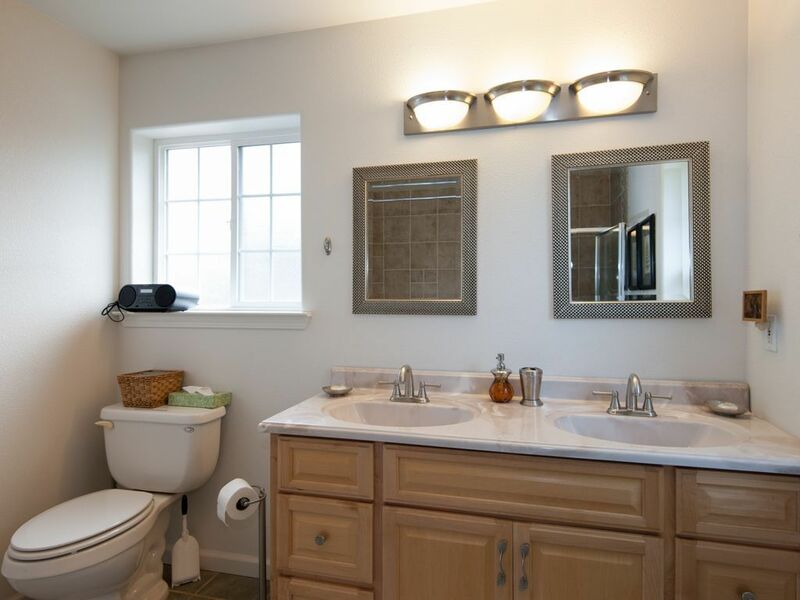 The property is clean and came stocked with everything you can possibly need. 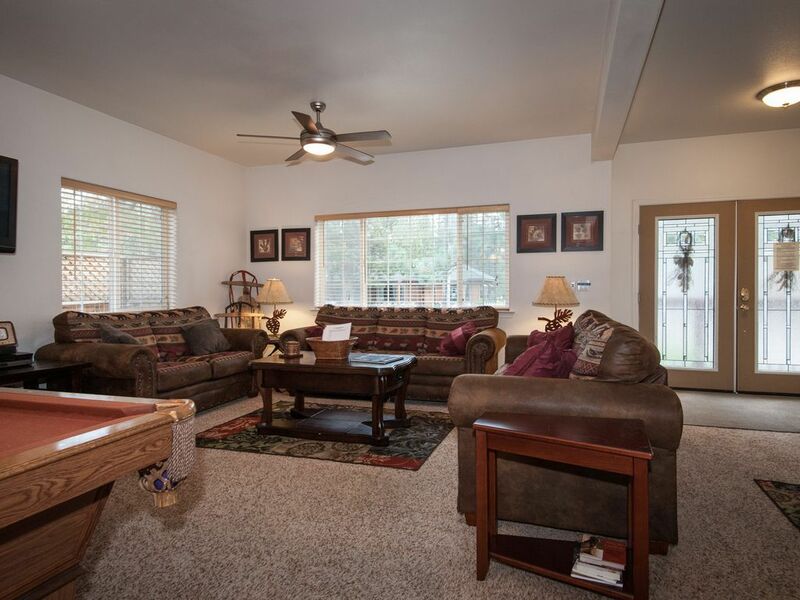 Safe neighborhood, location is close to lakes, hiking trails, golf, and easy access to Heavenly area. 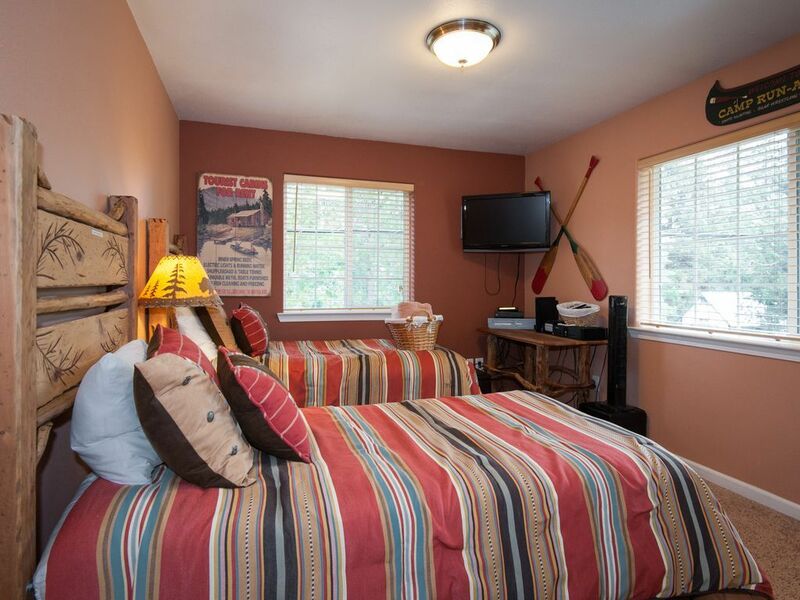 Lora has done a great job in curating this vacation home. 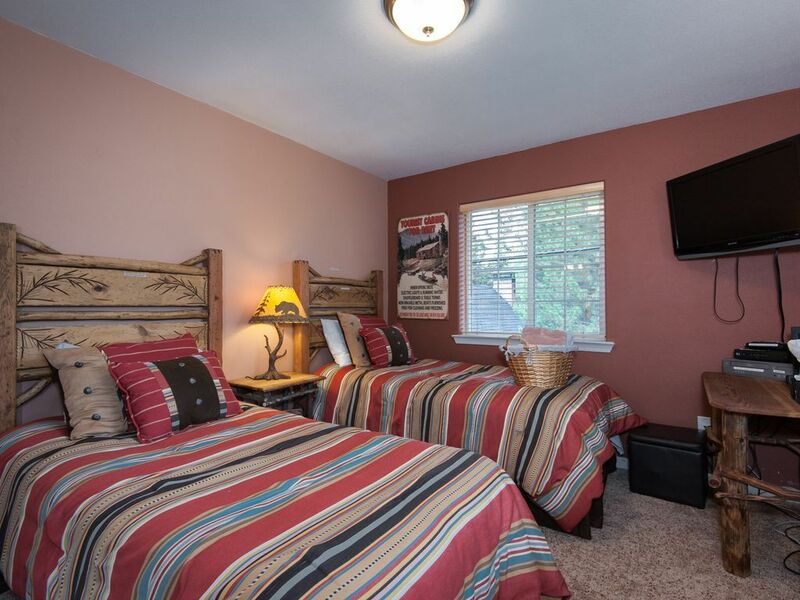 Rooms were lovely, our kids especially liked the big backyard. Thank you for the wonderful stay and we can’t wait to come back in the winter! The location couldn't have been more perfect for what we had planned! The house was super clean and well stocked with everything we needed. We were lucky enough to be snowed on for a full day there! We could have easily kept ourselves busy just at the house with all the snow we got. We did venture out to the ski resort & had lots of fun. Another group with us rented snow mobiles for the day. The neighborhood is quiet & nice so we took some walks around while it was snowing. I have a very early riser (young child). We were both excited to watch the tractors blow snow from the roads & driveways super early in the morning. The other people in our group didn't even hear the tractor & were shocked to see how clear the roads were when they woke. Btw, the tractor isn't loud so it won't wake you. The host is the sweetest & super fast at responding both before, during & after our rental. I can't say enough how much we enjoyed ourselves! We will be back (maybe even this season)! (925) 525-9051 Show Phone No.